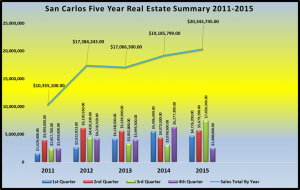 San Carlos 2nd Quarter 2013 Real Estate Sales Reach Almost 6 Million USD! Spring Cleaning in September? Over the Christmas holidays I had the pleasure of taking a Mexican road trip, it was fabulous! Mexico is a gorgeous and diverse country rich in history and color. We visited several popular beach side resorts, and I was even more convinced that San Carlos is a real jewel. 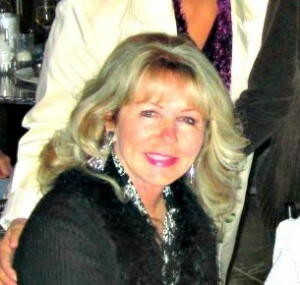 With little to no traffic, comfortable lifestyle, and beautiful Mother Nature, all make our community a little gem. 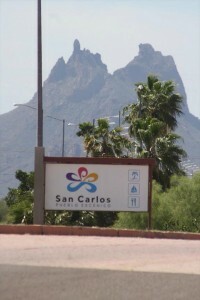 Those of us who call San Carlos home, are familiar with our choice of quality restaurants, outdoor and indoor activities to suit everyone’s taste, and easy access to world class marinas and the Sea of Cortez. As we review the Five Year Real Estate Summary, we can see that more and more people are discovering and buying into our San Carlos community. Now, on to the numbers! We can see how real estate sales have increased, right along with the upswing in the economy in the United States. Buyers continue to consist of Americans, Canadians and Mexican Nationals. There is no doubt that some uncertainty lies ahead, but, that is life, no? The US dollar is very strong and that may affect other currencies and purchasing power. How long that will last is anyone’s guess. The US stock market can be unstable during times like this, people often shift some of their portfolio in to real estate. San Carlos offers the easy and comfortable life style that many people desire, especially as they prepare for a non-working lifestyle. For more details about the summary please visit one of the local MLS member real estate offices.